BHOPAL, India (Thomson Reuters Foundation) – Hundreds of protesters gathered on Wednesday outside the abandoned factory which caused the world’s deadliest industrial disaster in the Indian city of Bhopal, burning effigies and demanding justice for survivors suffering 30 years later. In the early hours of Dec. 3, 1984, around 40 tons of methyl isocyanate gas accidentally leaked from a pesticide factory owned by U.S. multinational Union Carbide Corp. and was carried by the wind into the surrounding slums. The government recorded 5,295 deaths. Activists estimate 25,000 deaths from illnesses since the leak. Many people still suffer from cancer, blindness, respiratory problems and immune and neurological disorders, with little support, they say. “I was pregnant and living … near the factory on that night. We woke up with our eyes burning and could hear people outside screaming,” said Rambhai Kailash, 50, whose daughter was born with muscular dystrophy and whose husband died from cancer five years after the disaster. “The compensation I received at the time was so little that it was immediately used up on medical treatment for my husband and daughter,” she said as protesters lit a massive diamond-shaped effigy with a skull and “Dow Chemical” painted on it. Activists accuse the Indian and U.S. governments and the Dow Chemical Company, which now owns Union Carbide, of not doing enough to support victims of the disaster. They want more financial compensation for the victims and the removal of thousands of tons of toxic waste around the plant, which has seeped into the ground with activists saying this is poisoning the water of 50,000 people. Dow Chemical has denied liability, saying it bought Union Carbide a decade after the firm settled its liabilities to the Indian government in 1989 by paying $470 million. But activists said that was a paltry sum based on the extent of human suffering and various petitions to hold Dow to account and insist on increased compensation and cleaning up the waste are being pressed in Indian and U.S. courts. “The time has come to bring Dow and Carbide to justice. No more hiding behind share ownership and legal loopholes,” said Salil Shetty, Secretary-General of Amnesty International. A spokeswoman for Dow declined to comment, referring calls to the company’s subsidiary Union Carbide Corp. The government of central Madhya Pradesh state, where Bhopal is located, held a prayer meeting on Wednesday to mark the 30th anniversary of the leak and the Indian parliament in New Delhi observed a two-minute silence for the victims of the disaster. Government officials deny neglecting victims and failing to help many survivors. They say the Supreme Court decides who is eligible for compensation and free healthcare after receiving a list of the affected people. 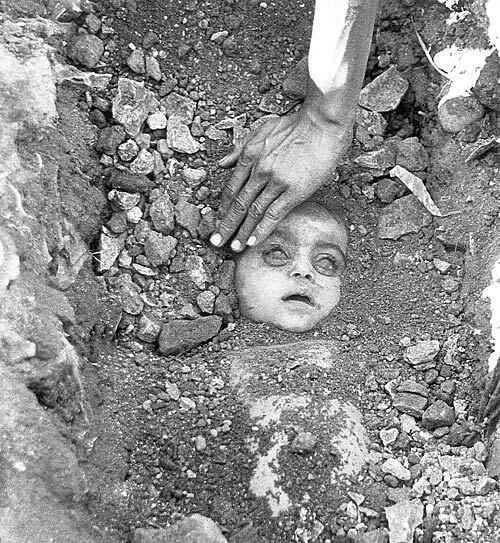 “This has been put before the Supreme Court and the court has decided, after extensive examination of their cases, what is to be paid and to whom,” Pravir Krishn, the state’s principal secretary at the department in charge of rehabilitation for Bhopal’s victims, told the Thomson Reuters Foundation. Krishn said some families seeking compensation or medical help were not from contaminated locations, suggesting they falsely claimed to be victims of the tragedy. He said the state had provided 40 billion rupees ($650 million) to 575,000 people identified by the Supreme Court as being affected by the disaster, built state-of-the art hospitals and provided houses for many survivors. While many events surrounding the disaster’s anniversary have focused on issues such as the lack of healthcare, compensation and job opportunities for survivors and their families, some have asked whether another Bhopal could happen. The Delhi-based think-tank Centre for Science and Environment released a book on Monday that said that while India has laws covering hazardous waste management and industrial disasters, there is no compliance. “While we have thankfully not witnessed another major Bhopal-type disaster in the last 30 years, we have a number of mini Bhopals – small types of gas leaks from industry – all over the country,” said Sunita Narain, CSE’s director.